CP#1 broke her right foot over Easter, so our school vacation plans are limited to places we can easily get around. We’re considering a trip into Boston to visit the Franklin Park Zoo. MP, who is in need of warmth and flowers, is especially intrigued by the indoor tropical rainforest. And the zoo also provides wheelchairs to guests on a first come, first served basis, which will be a great help to our injured girl. If Boston doesn’t make it into our plans, we may try going local to the Maine Wildlife Park. MP and DP haven’t been there with the kids since they were toddlers, so it will be fun to see the park again. The Bowdoin College campus is always a great place to visit. 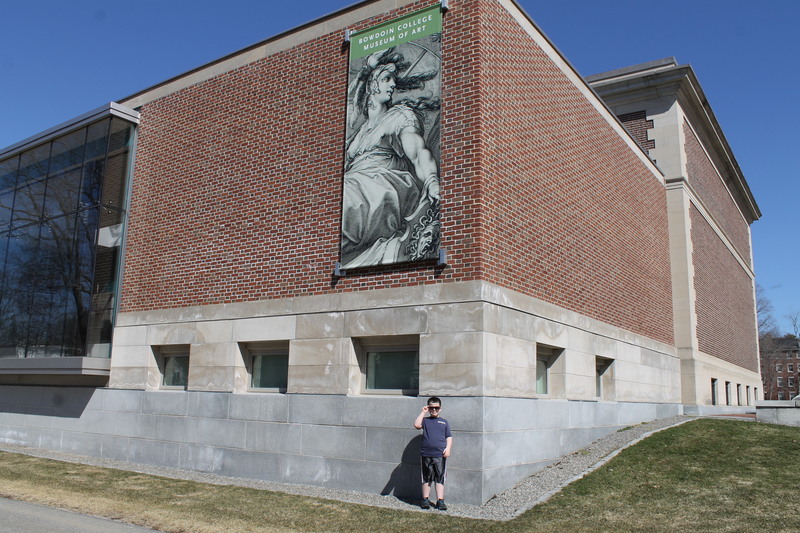 We recently visited the Bowdoin Art Museum and all of us enjoyed the Past Futures exhibit, which highlights science fiction and space travel. The museum is the perfect size for kids ages 7-up, and the bold paintings and space age graphics definitely appealed to our duo. While we were there, MP learned the museum hosts Family Saturdays with interactive activities for kids. This Saturday, April 18, it’s Family Saturday and there’s a free dance concert in the evening, too. If your kids are too small to brave the museum, the campus is a perfect place to explore or ride bikes. Pastries from Biscuits & Company in Biddeford. Sunday mornings are celebrated at our house with a big breakfast. This Sunday, we’re hoping to visit Biscuits & Company in Biddeford. MP has a thing for homemade biscuits, and she’s the type who likes to compare her own with others. If the weather stays warm, we’re finally going to get our seeds planted. MP is following the advice of Stephanie O’Neil from Farm to Table Kids, and planting some flowers and vegetables from Johnny’s Selected Seeds. CP#1’s birthday is coming up next week. 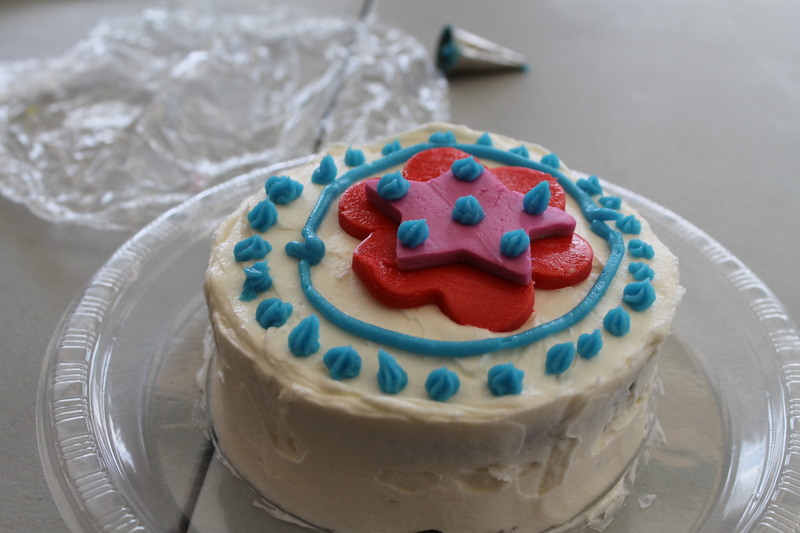 MP usually makes something special, but she’s asked if we can decorate mini cakes at Ice It Bakery in Yarmouth. This bakery has long been a local favorite of ours, and we’re more than happy to oblige the birthday girl, especially since she’s on crutches for the next few weeks. 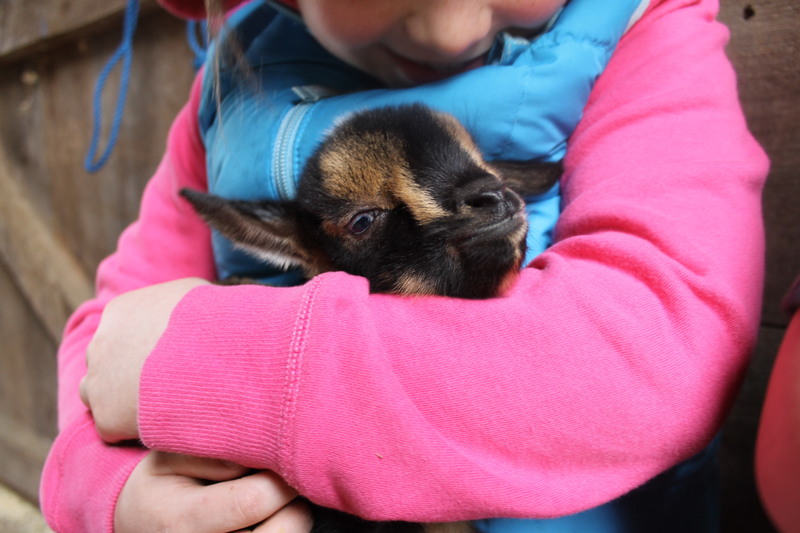 Other hopeful plans include a visit to Sunflower Farm in Cumberland to cuddle with the baby goats, and maybe some of us will steal away to our library for a little Thursday morning yoga. Visiting the kids at Sunflower Farm is a favorite spring tradition. We’d love to hear what you and your family are doing for vacation week, too. Drop us a line, anytime! Happy vacation. So sorry to hear about Lauren’s foot! Hope it heals quickly! And…what a wonderful post from you !